Inventing the Incandescent Light Bulb — Alloway Electric, Inc.
Boise's premier electrical contractor, Alloway Electric, responds with licensed electricians in fully equipped vans to handle your residential repairs, remodels, new construction, installations, and maintenance contracts. Servicing the Treasure Valley since 1924, we are proud of our heritage. Our customers know they come first and can count on Alloway Electric to take care of their problems. With Alloway Electric, your problem is no problem - call the people you trust! Long before Thomas Edison tried his hand at creating an electric light source, at least twenty-two inventors had worked to invent the incandescent light bulb. An incandescent light bulb is an electric light, which produces light with a wire filament heated to a high temperature by an electric current passing through it, until it glows. Starting in the early 19th century various inventors from Europe and America experimented with different materials to conduct electrical power. The different combinations of filaments and various approaches to sealing them lead to varying degrees of success, but overall these initial bulbs were dim, fragile, and did not last very long. 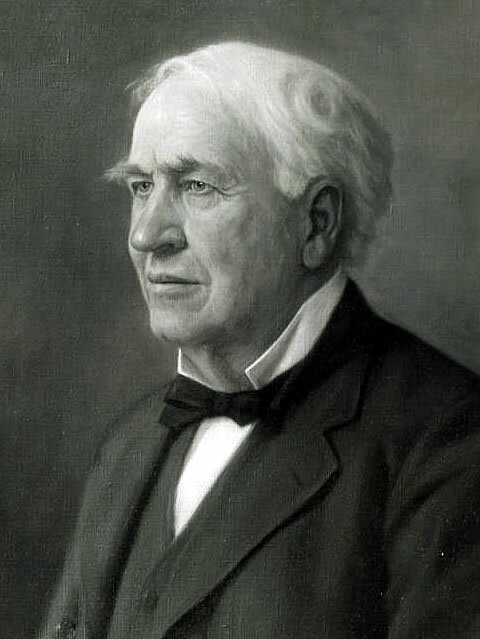 In 1878, Thomas Edison began his research on developing a practical incandescent lamp. Edison decided to utilize a carbon filament connected to patina contact wires. Edison’s attempts would eventually give 1200 hours of continual light. While Edison was preceded and followed by many inventors who worked to invent and improve the incandescent light bulb, he is typically recognized as the inventor of the most practical design. Edison’s combination of a higher vacuum seal and most efficient incandescent material gave him the edge over his competitors. The incandescent bulb remained the commercial and residential standard until the more efficient fluorescent and LED lights became available.